There are many types of eagles in the world. 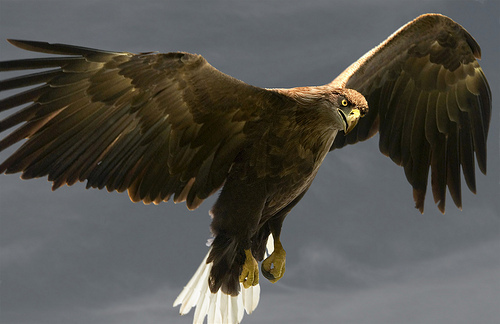 Here in the United States we have Bald and Golden Eagles. 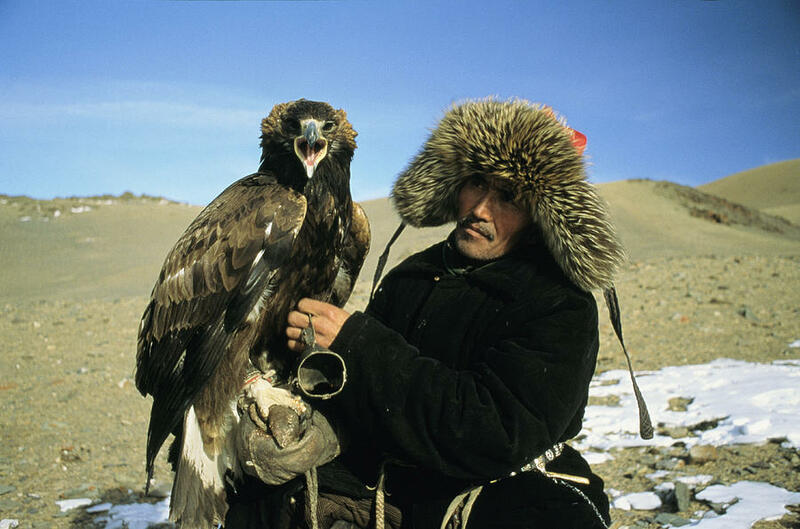 Today’s story is about a White-Tailed Eagle, which you can find in Eurasia countries. Eagles are birds of prey. They kill and eat meat like small mammals, fish, smaller birds, and rodents. Here are pictures of how large these birds can be. 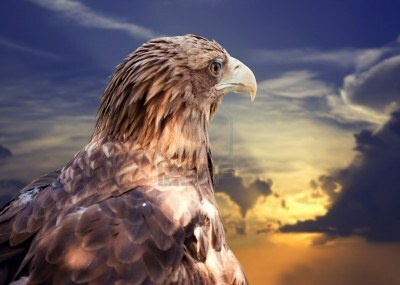 Imri, pronounced EEM-Ree and means fire, is a White-Tailed Eagle living in Hungary. Imri loves to fly and hunt. He is very good at spying prey and capturing it. He loves the rush of chasing and capturing prey. Sometimes he does it just to prove how good he is at it. Imri especially loves to go after prey that he sees another eagle or bird going after. He loves the competition of the chase. He has great confidence he will overtake his opponent and win the race to victory. His prize is knowing he won. Sometimes he is so overtaken with the power of winning that he forgets to take home the kill. Lucza, pronounced LOO- Zh uh and means bringer of light, is waiting for Imri on their huge nest. 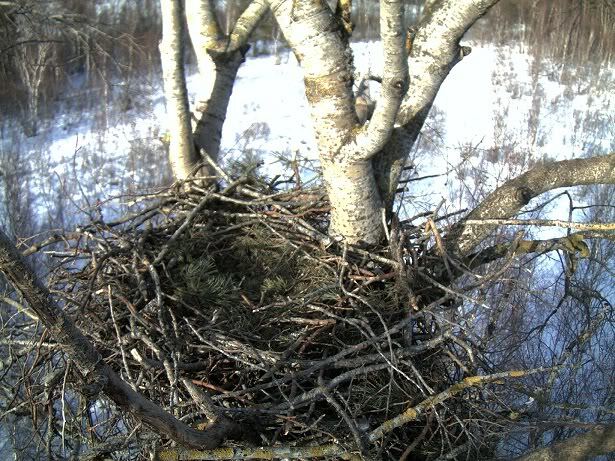 A white-Tailed Eagle’s nest is very large and they will live in it all their lives and pass it down to other generations. One nest was recorded to be in use for over 150 years. Therefore the nest needs to be large and strong. Imri and Lucza have two baby chicks that have recently hatched. Lucza is very proud of her chicks and wants them to grow big and strong. This requires food. They have agreed that Imri will hunt down the food and Lucza will stay with their young. Lucza sits on her nest with her babies waiting for Imri to bring food for quite a while. Her chicks are typical babies and want food often. It is an all-day process of hunting, catching, and bring back food for the chicks. The parents bite off small pieces of the food that the babies can swallow, and slip them into their wide gapping mouths. Her babies are hungry and Imri is taking longer than normal. Imri is out playing games. He has been having so much fun waiting for other birds to chase after something so he can race them to the catch. He has won many times and then left the prey to go after another pursuit. All he cares about today is the pursuit. He is so competitive, he is neglecting his hungry family. On one of his pursuits, he was flying close to his nest and heard Lucza calling out to him. He glances over and remembers he is supposed to bring back food. He flies off, scouring the landscape for something to bring home to his hungry chicks. Imri said, “I’m sorry.” She didn’t hear him because she was already in the air. Lucza enjoys flying and hunting. She catches some fish and then a mouse. She takes the mouse to the nest for her babies to eat later. Imri sits with her the rest of the night. He is sorry Lucza and the chicks had gotten so hungry. The next morning as soon as the sun is just over the horizon he says, “I’ll find food right away and bring it right back.” Lucza watches him go and hopes he does what he said. She remembers how he used to be so considerate of her. They used to fly together, hunt together, and laugh and play together. Sometime a while ago he changed. He started trying to prove himself. First, it was challenging her to races. Then he just went off looking for someone else he could race. She enjoyed the times they had spent together and wished they could do it again. Imri is following another eagle. All of a sudden the eagle takes off after prey. Imri is ready and swoops right after him. It is a small flock of birds that the eagle is after. Imri could have gone after another one, but he wants the one the other eagle is after. They get there at the same time and Imri snatches it up before the other eagle could get it. Imri is laughing as he dives up and away. He is carrying the small bird to his nest when suddenly he is broad sided. The other eagle hit him on the side. 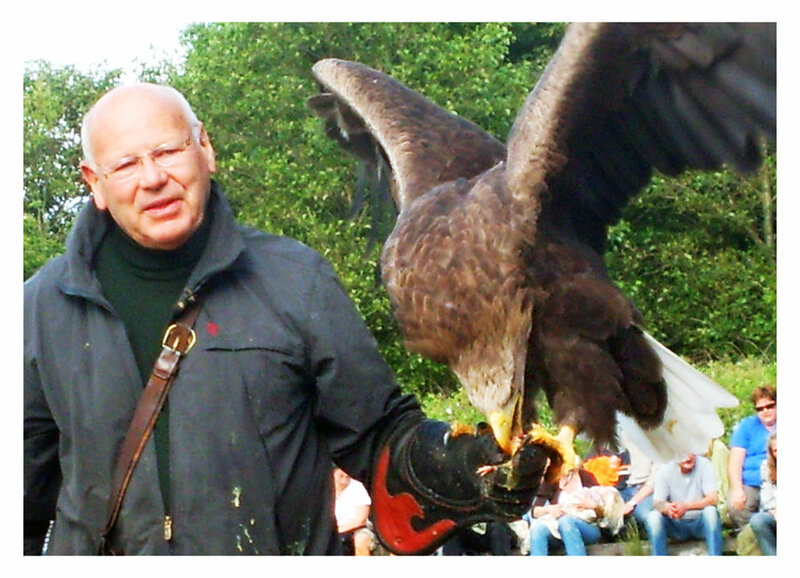 Imri loses the grip on the bird and the eagle snatches it away from him. Imri goes after the eagle and tries to take the bird back. The eagle lets go and a terrible fight ensues. The eagles are fighting in the air with beaks and talons. Lucza looks up when she hears the commotion and goes to help. The other eagle doesn't see her coming, and she is able to smack him on the side. Angered, he come back with a mighty lunge that hits her across her wing. She was not the one who started the fight, but she got badly injured because of it. She barely makes it back to her nest. The other eagle decides he has made his point and flies off. Imri flies to the nest to see how Lucza is. She is in no condition to fly. He flies off to get her and the chicks some food. Imri brings back a fish for the chicks. Then flies off to find Lucza something and brings back a rabbit. Next, he gets a big drink in his mouth and brings it back to her. He keeps leaving and bringing back things she likes. He wants to bring something very special back. He finds a small fox, chases it, catches it, and brings it back. He helps her tear it up for herself and the chicks. Then he uses the fur to soften up the nest. He feels terrible that his misdeeds have caused her injury. He realizes he has just been interested in the competition and not acting like an eagle should. He knows he has fostered a competitive spirit that has caused someone he loves pain. He was so into the spirit of the competition that he neglected his family. He is the reason Lucza is injured and can not fly. After staying in the nest for a few months, Lucza is now able to get out flying. She can only do so for short periods of time. Imri is reminded of how foolish he had been. Now he is the one who takes care of the nest and family. When their chicks were old enough, it was Imri who taught them how to fly and hunt. He learned a hard lesson that fateful day. Do you know someone who is competitive? It is great to try your best, but don’t let winning be your whole focus. Winning is fun, but it should not be the only thing you think about. Someone has to lose in order for there to be a winner. There is no shame in losing. Learn to be a good loser as well as a good winner. Don’t brag about winning and keep it in the right perspective. The Bible says we should look after others' interests not just our own. Philippians 2:3-4 Let nothing be done through selfish ambition or conceit, but in lowliness of mind let each esteem others better than himself. Let each of you look out not only for his own interests, but also for the interests of others. Colossians 3:23 Whatever you do, do it heartily, as to the Lord and not to men. Memorize: Philippians 2:3 Let nothing be done through selfish ambition or conceit, but in lowliness of mind let each esteem others better than himself. Or verse 4 Let each of you look out not only for his own interests, but also for the interests of others.